Can you ever go wrong with a creamy delicious soup for dinner? 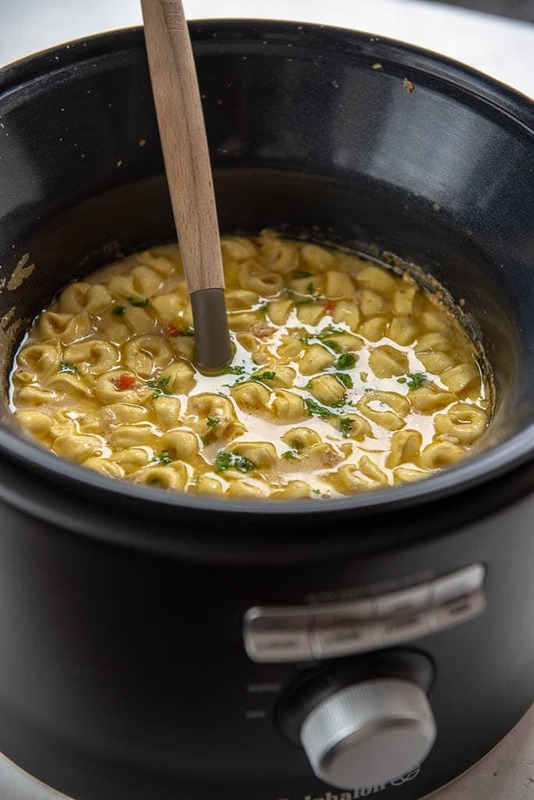 This Slow Cooker Creamy Chicken Tortellini soup is so simple yet so satisfying! Is it possible to eat too much soup in the winter? I don’t think so! My family can’t get enough of creamy, filling, comforting bowls of soup during these endless cold months. 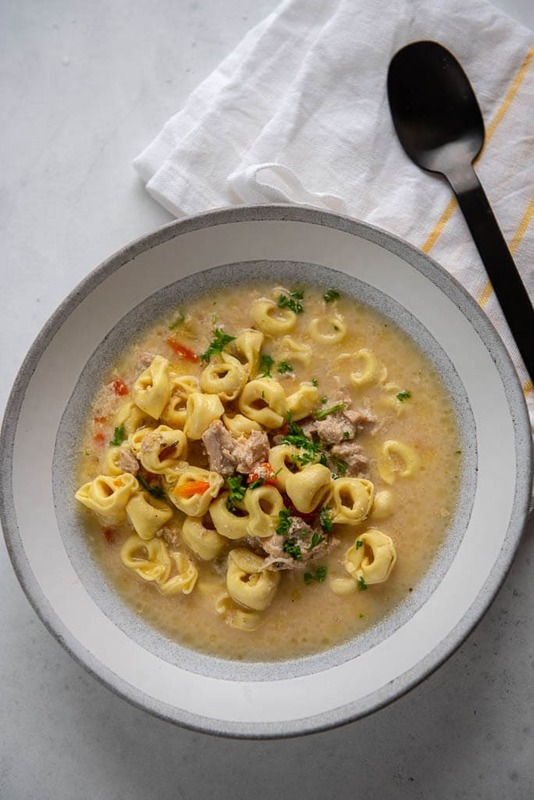 And while we do love a good tomato based tortellini soup like this one, you can’t go wrong with a creamy one from time to time as well. 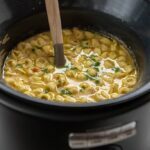 This Slow Cooker Creamy Chicken Tortellini Soup is super easy, only uses a few ingredients and can quickly be thrown into the slow cooker before you head out the door for the day. And it doesn’t matter who you are, I’d bet you’d love to come home to a hot homemade meal ready to go. There are obviously a million ways, from tomatoes to cream from chicken to beef to vegetarian. The important part is really that it contains ingredients you love. I chose a broth based chicken version this time with the addition of evaporated milk for plenty of creaminess. 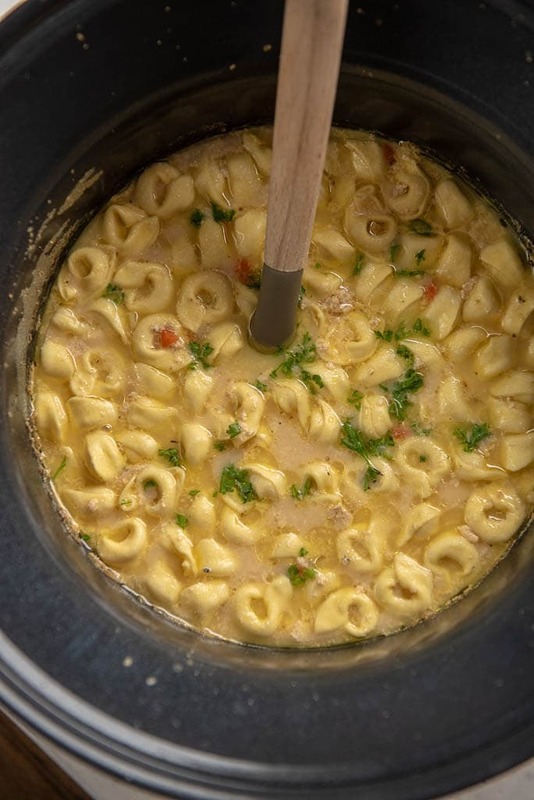 I used dried cheese tortellini soup which cooked up in the soup at the end for about 20 minutes. 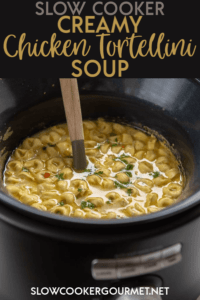 What sides go with Slow Cooker Chicken Tortellini Soup? Can you ever go wrong with a creamy delicious soup for dinner? 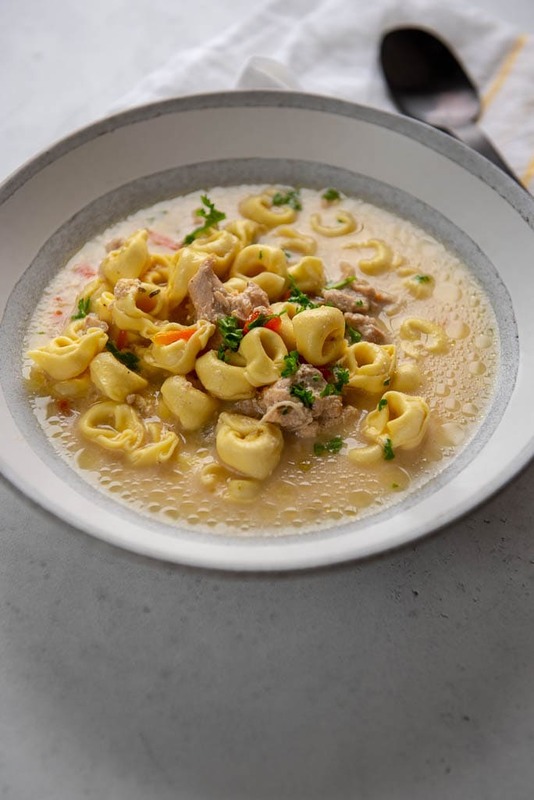 This Slow Cooker Chicken Tortellini soup is so simple yet so satisfying!